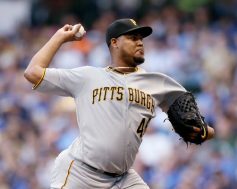 After completing a sweep of the Kansas City Royals earlier in the week, the Pittsburgh Pirates took the field tonight at PNC Park looking to continue their strong play at home. 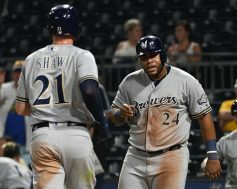 Unfortunately, the Bucs’ bullpen struggled tonight, as the Milwaukee Brewers scored six runs in the sixth inning and went on to a comfortable 8-3 victory. Josh Bell’s solo homerun in the bottom of the first gave the Pirates an early 1-0 lead. A two-out single by Ryan Braun in the top of the fourth tied the game, but Corey Dickerson blasted a two run homerun in the bottom of the inning to give them a 3-1 lead. 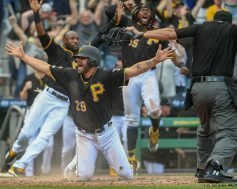 With nothing much to play for other than attempting to finish the season over the .500 mark, the Pittsburgh Pirates are looking to play spoiler against the remaining contending teams on their schedule. 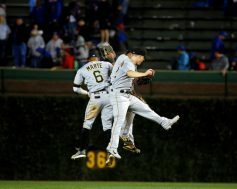 Tonight, they were able battle themselves through a stressful ninth inning to deliver a blow to the Milwaukee Brewers’ division title hopes with a 3-1 victory at Miller Park. The Brewers, trailing by two runs entering the bottom of the ninth inning, put runners on first and second with no outs. Felipe Vazquez then recorded a lineout, a flyout, and a strikeout to end the game. 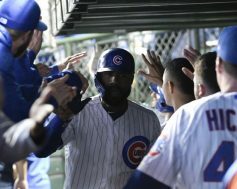 After scoring in the first inning, the Brewers were unable to score in the final eight innings. 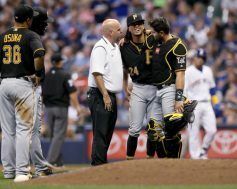 When the Pittsburgh Pirates acquired Chris Archer at the trade deadline in July, they were in the thick of the National League Wild Card race so they were looking or help to help them during crunch time this season. 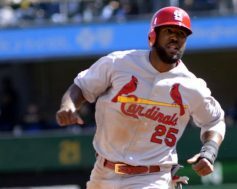 But they were also looking ahead as Archer is controlled beyond this season. 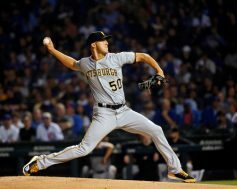 Unfortunately for Pittsburgh, Archer has struggled mightily since he put on a Pirates’ uniform, and that trend continued on Friday night against the Milwaukee Brewers. 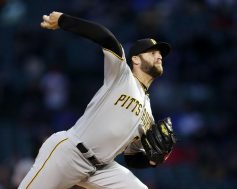 Archer gave up four runs on six hits with two walks and eight strikeouts in five innings of work. He fell to 4-8 on the season with the loss, and his ERA sits at 4.66. 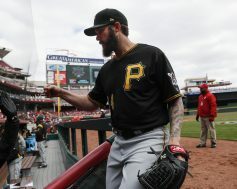 The Pirates were able to score four runs on Friday, but it wasn’t enough to dig out of the hole they were left in the early and middle innings of the game.